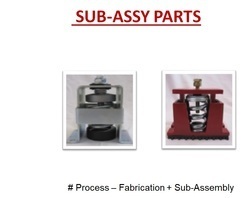 We are the leading company manufacturing a wide range of Sub Assembly. We are offering an high-end quality of Sub-Assembly Components to our clients. That is broadly used in various machinery. These assembly components are manufactured using superior grade raw material and latest technology in compliance with set industry standards. 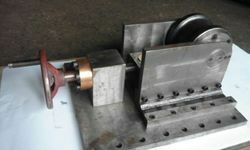 - We supply components and sub assemblies which are highly appreciated in the defence application. - These components varies from simple to complex configuration. We Accumax Products having a good experience in manufacturing and assembling Sub-Assemblies required for air conditioning compressors & in submersible pumps in various material composition. Backed by rock solid infrastructural facilities, RACL is actively engaged in the production and supply of a high utility assortment of sub-assemblies.